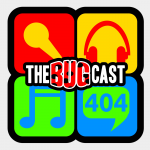 This week on The Bugcast: country filed, jammies dodged, album isolated, and awards nominated, plus our usual mix of 8 amazing Creative Commons tracks! BBC News: Merle Haggard, one of country music’s most influential artists, died aged 79. The next live show will be episode 405, broadcast live in the chatroom on Friday 15 April 2016 at 21:30 UK time (BST/GDT/UTC+1). Episode 406 is not going to be broadcast live on Friday 22 April, it will be recorded in advance and replayed on the night instead.